In the decades before British tourists began to annoy the locals abroad they would often hop on a charabanc and invade the English countryside to discover that it wasn’t all smoke and warm beer the sort of stuff they were used to, it contained animals, some of which were gulp… wild! 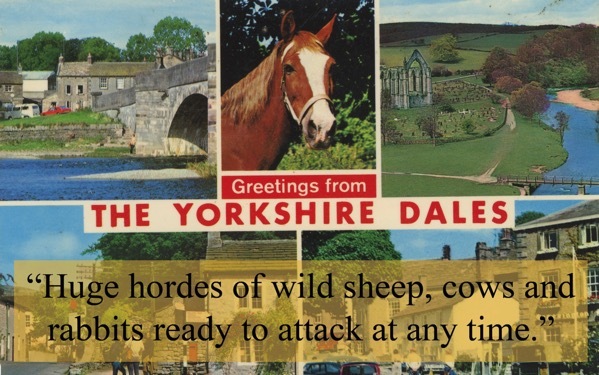 This postcard was sent by one intrepid holidaymaker while visiting the wilds of Yorkshire. Such dangerous animals! They were lucky to get out alive weren’t they?